Although most of you see or talk to our sales people in their professional personas when they drop you a line, it’s fair to say that we also have lives outside the pond that we call SJF. 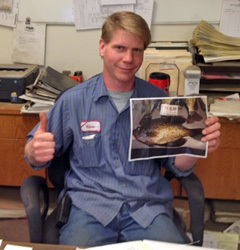 For Tom Moore, one of our resident employee anglers, fishing is definitely a lure on his free time. Check out these whoppers he netted Wednesday, June 14. 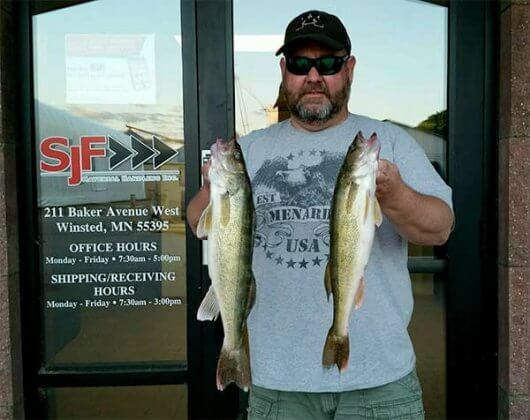 You could even say he’s hooked on fishing and angling to catch the biggest fish in all of Minnesota. Currently, stage 1 of the employee Fishing contest is winding down fast. 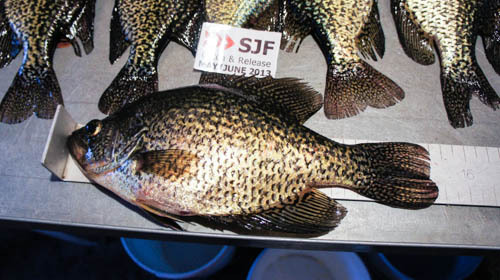 As of June 19, Brian Springer’s 15 3/8″ Crappie entry takes the lead with only 12 days remaining in June. 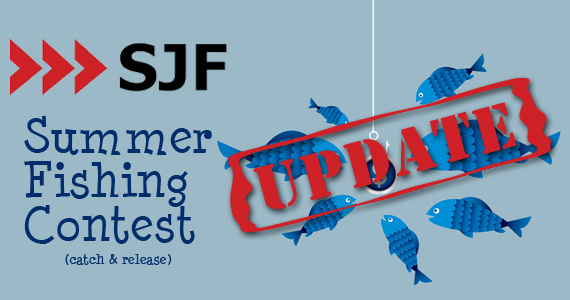 SJF’s fishing contest winners win prizes, raise money for charity and bragging rights to boot! 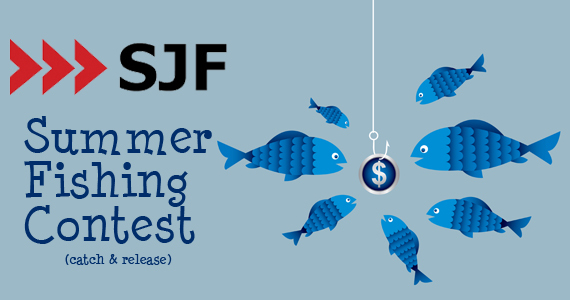 SJF just announced the start of the summer 2013 fishing contest. All employees and their immediate families are invited to participate in this catch & release contest. The contest runs from May – October and will feature monthly as well as overall contest winners. Winners will be determined using a point system based on the length & species of fish caught per month and over the entire time period. In other words, you may not win a specific month, however you can still win by having the most points at the end of the contest.